Panel Discussion: From the Farm to Your Fork – Why Local Food Can Make Us Healthier, Happier and More Secure. Monday, February 18th, 7:00 - 8:30pm. Taking place at the Ann Arbor Downtown Library Multi-Purpose Room. This event spotlights perspectives from luminaries in our own food community. Featuring local farmers Annie Elder and Paul Bantle, Chef Alex Young (chef and co-owner of Zingerman's Roadhouse), dietician and Farm-to-School Coordinator Ruth Blackburn, and UM research scientist Dr. Catherine Badgley. Along with a big-picture description of how the food system currently works, the panelists will highlight ways in which our vibrant local food system sustains us. This event is co-sponsored by Slow Food Huron Valley and the Ann Arbor District Library and is one in a series of events leading up to the HomeGrown Festival celebrating local, sustainable food on September 13, 2008. Make this your year to get involved! What a year 2007 was for new albums of music. Lots and lots to choose from. I'm talking lots, from big names, to up and coming. Everything from Interpol [Our Love To Admire]; The New Pornographers [Challengers]; Spoon [Ga Ga Ga Ga Ga]; The Shins [Wincing The Night Away]; The Bravery [The Sun And The Moon]; LCD Soundsytem [Sound Of Silver]; to The Great Lakes Myth Society [Compass Rose Bouquet]; Brandi Carlile [The Story]; A Fine Frenzy [One Cell In The Sea]; Down The Line [For All You Break]; Lucy Kaplansky [Over The Hills]; Lucinda Williams [West]; and Norah Jones [Not Too Late]. There were albums from Lyle Lovett [It's Not Big It's Large]; Dean Martin [Forever Cool]; Steve Earle [Washington Square Serenade]; Paul McCartney [Memory Almost Full]; "The Boss" Bruce Springsteen [Magic]; and even Arlo Guthrie [In Times Like These]. Minne Driver had an album [Seastories]. Electric Six may have had the best new album title [I Shall Exterminate Everything Around Me That Restricts Me From Being The Master]. Now those that follow this blog might claim bias knowing my preference for buying local and supporting local. But true readers of the blog will also note that I very much appreciate quality. In everything. Food, products, relationships, people, etc.. I, for instance, don't want people to only buy my greens in the winter because they are local but also because they are the best greens to be found. So music is no exception and in fact very important to me. The plain truth of the matter is that this album is just awesome. 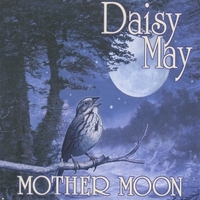 Daisy May has simply matured so much as a singer, songwriter, musician, and artist (as well as the whole Earthwork Music supporting cast) that this album can compete and, in my opinion, surpass albums coming out from big names and big places all over. When you consider the competition the album was up against in 2007 I hope you will consider this sentiment to have some weight and experience her artistry for yourself. Tell you local library to buy a copy. Apparently there is already a farm based Montessori school in Ohio. Over the holidays I had the pleasure of meeting Nicole DeBurton who was up from Tennessee visiting relatives (and who was floored to find (and buy multiple pounds) of fresh greens in Michigan in the winter). Anyway, Nicole is featured in this article discussing the plans for the second farm based Montessori school in the east, for which she is heading the creation of in Louisville, Tennessee. Best of luck to them. I, and many of you reading this I imagine, think it is a fabulous idea. I look forward to hearing more as the roots of this school take hold - and things like the greenhouse, orchards, outdoor classroom and vegetable gardens in the space below begin to grow. Thanks to Vivienne for pointing out this article titled On Martha’s Vineyard, Using Scallops as Currency. The article is too short but some good talk of local food economies that have many small and diverse parts... including exciting talk of bartering, purchase of development rights (PDR) programs, bioregions, chicken feet, and fatback among others. Also note the beet curry and Long Island heirloom squash recipes linked on the left. 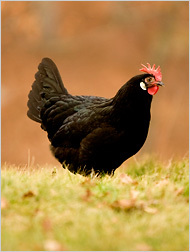 No, not another chicken post. But just a note that I headed on down to Take a Chance Tuesdays at The Ark with some friends this evening for a free show by Joshua Davis. Now I actually knew this show would be good because I've seen Josh play before and his band Steppin' In It but seriously people how can you pass up a free show? Come on down to a fabulous venue to support fabulous (often regional) talent. I'll expect to see more of you on down there for the next Take a Chance Tuesday concert (they're typically the 4th tuesday of the month) on February 26th: Chris Bathgate who is also quite good. So it was a very excellent set - whatever you want to call Josh, roots/americana/blues/folk - definitely excellent and he surrounds himself with the best. Quite fun to have some of the other Earthwork Music label folks - Seth Bernard and Laura Bates - get up there for a few tunes and of course Madcat stepped up to blow his harmonica a bit as well. Josh's two year old danced it up in the aisle a bit too with some nice western looking boots on. All and all, great fun. Eric sitting next to me even won one of the raffle prizes at the end. I recently joined the steering committee of the first (hopefully to be annual) HomeGrown Festival which is slated to take place in the Kerrytown vicinity Saturday, September 13, 2008. The mission statement of the festival is "to serve as a catalyst to increase local consumption and production of local, sustainably grown foods and products." This festival is still in planning stages of course but you can read a bit more about what is planned at HomeGrownFestival.org. One thing my graphic designer friends should note is that the Festival is definitely in need of a superb logo and graphic identity for the website. Said logo design would be a paying gig so those interested can contact the person listed here for more info. An Ann Arbor City Council member plans to introduce a resolution sometime early next year that would let residents raise chickens. WEMU's Andrew Cluley has more. I was a little under the weather this weekend so I had a chance to lay back, listen to some music, and recall the year 2007 in music. I didn't really attend any music concerts outside of the state, so this ends up being the best of area concerts I suppose. Probably various things go into making a concert memorable for me, so these are just the ones that stick out. I could be overlooking some since I went to quite a few. - All of the free Border's and Ann Arbor's 107.1 shows at Border's in downtown Ann Arbor (as well as the free Ann Arbor Summer Festival and Art Fair shows). Thanks you guys for doing these! - Eons and The Hard Lessons at the Blind Pig in August. Very good performances. - The Bravery at the Magic Stick in Detroit in May. Just plain fun. - Patty Griffin at the Michigan Theater in April. Much better sound crew than the previous time I saw her there. - Johnny Headband at the Blowout in Hamtramck in March. Great show albeit abbreviated because of Blowout scheduling. Any material from their album Happiness Is Underrated is genious (sorry guys, not sure about the new jam songs during concerts later in the year). - Chris Thile at The Ark in June. My only complaint was that the concert sounded exactly like the CD versions of everything, their live sound is pretty much as it was recorded. - LCV benefit concert at The Ark in November. It was a nice mix of artists and a good cause as well as amazing that a politician spoke for less than 5 minutes and amazing to realize I only saw Daisy May live once in 2007 (to be adjusted in 2008). #5 Greg Brown at The Ark in September. It's Greg Brown, duh. #4 Johnny Headband & Electric Six at the Blind Pig in January. Fairly classic shows for the both of them really. Lots of energy in the building that night. E6 had to step it up that night so Johnny Headband wouldn't steal the show with a wonderful warm up act. #3 Dave Boutette & Great Lakes Myth Society at Jack Spack's Summer Barn Concert in Dexter. Dave's collage finale of The Lion Sleeps Tonight, Hey Ya!, and I believe a Beattles song is quite impressive. All the dogs congregating on stage at one point. Definitely the best and longest set I saw from GLMS all year! #1 Tony Furtado at The Ark in February. His joke that he is not related to Nelly Furtado doesn't say it all, but it probably says quite a bit. For whatever reason The Ark cleaned up in 2007 for memorable concerts. Wasn't necessarily the case the year before. Of course the intimate setting, non-smoking, and great sound should make other venues (hint, hint, Blind Pig) take note. Stay tuned for Best Album of 2007 post sometime this week. Well, what do you know, an archive from my guest spot at WCBN a week ago has been found! You can go here to listen! I begin playing the local music about 39 minutes into the first hour with the young Ann Arbor band My Dear Disco. My second radio studio experience this past Monday was that I was honored to be the guest DJ on 88.3 WCBN FM Ann Arbor from about 3:40 - 5:30pm. What kind of music did I play? Well, local of course. I essentially previewed some of the Michigan musicians/bands coming to Ann Arbor (or close to Ann Arbor) over the next two weeks. DJ Hugonaut and I also talked about local food and the farmers market briefly, which led to the decision that perhaps I should be referred to as DJ Local with the byline "Local Food, Local Music, I got you covered". Anyway, I wanted to post an archive of the show (if you didn't happen to catch it live) and initially their archiver was broken but a copy of the show has now been found. You can follow this link to listen! My dj'ing begins about 39 minutes into the first 3pm hour. A playlist is available and some photos below. I had a lot of fun and hopefully you'll be able to hear some more of DJ Local in the future. Media Blitz: On The Radio: Listen This Saturday! So coming on the heels of the Ann Arbor Observer coverage this is going to seem like I have a PR person or send out press releases or something but I assure you this is not the case. But due to some strange fate of timing I was in two different radio studios this past Monday. First, I was in the studios of 1290 WLBY AM here in Ann Arbor recording an interview with host Jackie Wright for the show Ann Arbor Lifestyles. We chatted about my background and day job as well as hoophouses and winter harvests! It is set to air this Saturday, Jan 12th, from Noon to 1pm so tune in to Ann Arbor Lifestyles. I'm the guest the whole hour (not including commercials of course). Hopefully the greens will have fared the bitter cold last night a little better with the extra blanket of snow on the hoophouse for a little insulation. Regardless, the snowy wonderland that was Brines Farm earlier this week was truly a sight to behold. These photos will have to suffice. Happy New Year everyone! Here's to a new year of fun, particularly with fresh local food, not to mention freshly expanding awareness in our community and economy. Keep up the great work and best wishes for your sustainable goals (and mini-goals) in this fine year 2008. Start the year off right by reading this nice article by Vivienne Armentrout in the January 2008 Ann Arbor Observer: Meet the Locavores. 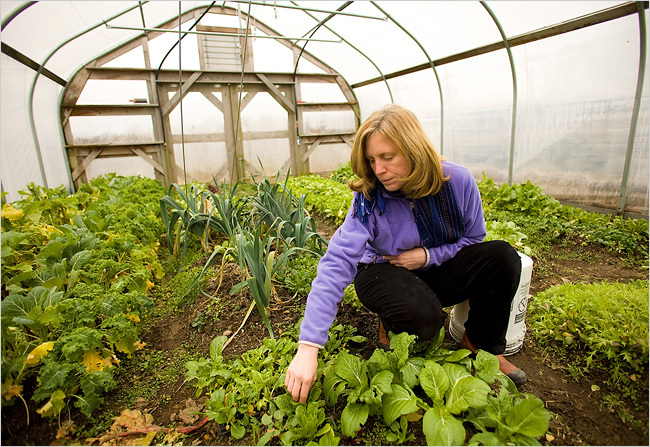 "Eating mostly locally grown food takes a lot of work, especially in January. Yet some Ann Arborites wouldn't have it any other way." Winter may not be the season when most people think of fresh local produce, but Shannon Brines is growing it. He has his spinach, fancy lettuces, Asian greens, and hakurei turnips on sale Saturdays through the winter at the Ann Arbor Farmers’ Market. Brines may not grow a lot — his typical weekly harvest is twenty-five to seventy-five pounds—but he is motivated. 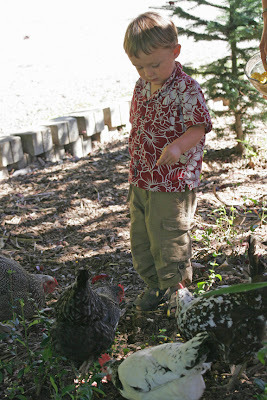 "I like good food and wanted to try and produce good food in a sustainable way," he says. "My end goal is to offer the best-tasting produce that just so happens to be carbon neutral when the customer buys it." Thanks Vivienne! It was nice to meet and talk with you.